Once you have chosen your front door that is!! If you live locally you will already know this site. If you don't and you have visions of building your dream house in the ultimate location, then you best come see it for yourself. Presenting 1083 s/m (more or less) of the perfect relatively flat blank canvas, with amazing sea views and the added massive bonus of a 2 bedroom dwelling, conveniently positioned right at the back of the section. Built in the 1960's it is pretty tired and in need of some TLC though; so for that very reason this is why we are an auction. 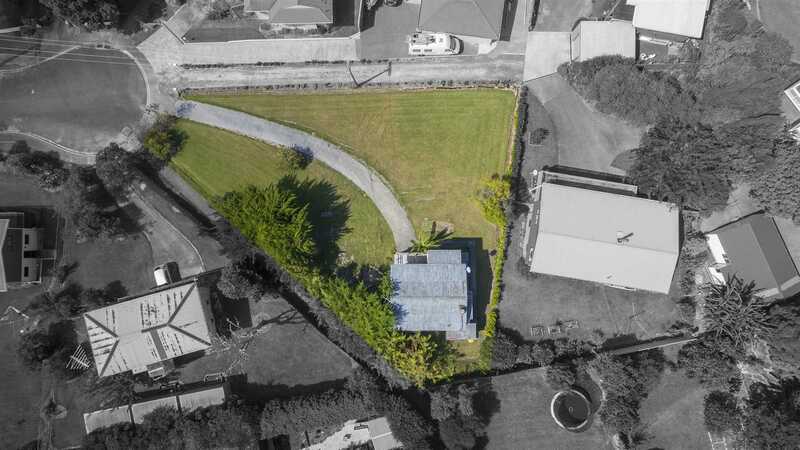 With a vendor who needs to release capital for other adventures (and quickly) and is prepared to meet the market to do so; this primed opportunity is ready to go and go it will, come auction day (if not before). So don't delay, make it happen today, because if you don't, you know someone else will be.